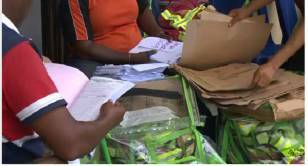 The Lagos State Independent Electoral Commission (LASIEC) has officially released the results of the elections into the 57 Local Governments and Local Council Development Areas of the state. The Chairman of LASIEC, Justice Ayotunde Phillips, announced this in a statement signed on Monday by the Director of Public Affairs, LASIEC, Oladapo Olatunde. According to the statement, the All Progressives Congress (APC) won all the chairmanship seats in across the state in Saturday’s elections. APC won all the 57 Chairmanship seats while it also won 369 Councillorship seats. PDP won four Councillorship seats while Accord party won three councillorship seats.